Imagine the most outrageously bold pattern. 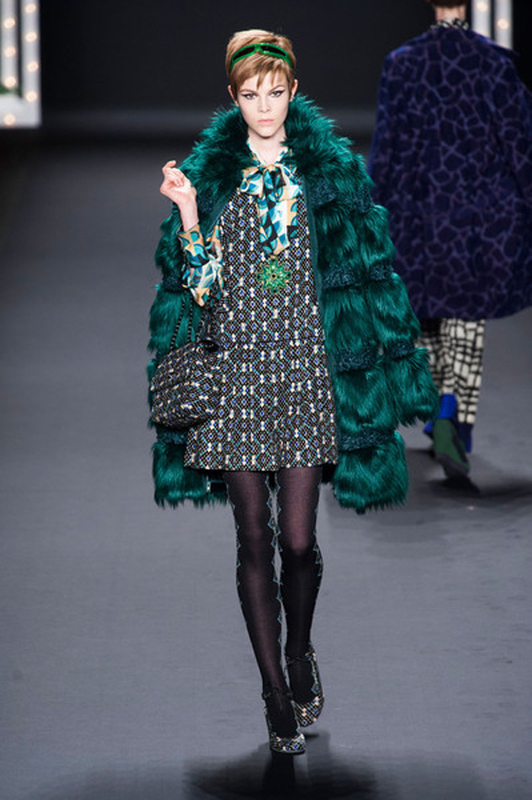 Now pair that with a little texture, perhaps a bit of fur, and you have the Fall 2013 collection by Anna Sui. The vintage styling and cut lines balance the energetic vibrancy. Color seeps everywhere, and what better way to grab attention than with visual significance. The manner in which the colors, patterns and textures are combined showcases a unique ability for contrasting ideas to complement one another. This same mentality can be swapped from fashion to architecture. Within a space, the participant can connect visually and emotionally with a variety of textiles, whether graphic or oozing with texture. Textiles allow for a relatable and memorable experience.